A reliable source for Shipping Tubes information and a resource for accessing leading Shipping Tubes and suppliers. Shipping tubes are manufactured from wood pulp fibers and used, among many other applications, for shipping and mailing a variety of items that are able to be rolled or to fit into a cylindrical shaped container. Ribbons of cardboard are spiral-wound with adhesives to give added strength and dried around a mandrel according to the desired diameter and length of the tube. Paper tubes are manufactured in such as way as to provide structural support across the cross section and the length of the tube. Shipping Tubes Shipping tubes are manufactured from wood pulp fibers and used, among many other applications, for shipping and mailing a variety of items that are able to be rolled or to fit into a cylindrical shaped container. 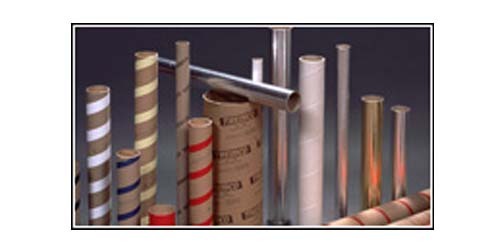 Cardboard tubes intended to ship industry-specific items, such as medical specimens, hazardous chemicals or other sensitive materials, are often coated with aluminum interiors both for the protection of the contents and in order to comply with US Postal regulations. These tubes are manufactured to wide ranges of diameter, length and thickness according to the item being mailed. Measurements used are taken from the interior of the tube in order to provide the closest possible fit between article and tube and to prevent potential damage in transit due to shifting. Some shipping tubes have multiple layers for added strength and protection. These heavy-duty tubes may be used more than once and when damaged or no longer being used are able to be recycled in the same way as other cardboard products. Many manufacturers offer decorative coating, papering and printing options for the tube's outer layer. Typical tubes are cardboard brown, but their exteriors can be kraft papered in almost any color, pattern, or print. Bright colors and prints on tubes are popular for mailing birthday, anniversary, wedding or Christmas presents. Depending on the item being shipped, tubes may be closed at both ends with glued or removable metal plugs, plastic caps, wooden plugs or by simply crimping the ends of the paper tube. Industries often use paper mailing tubes for sending and receiving parts to and from manufacturers as well as for packaging and distribution.